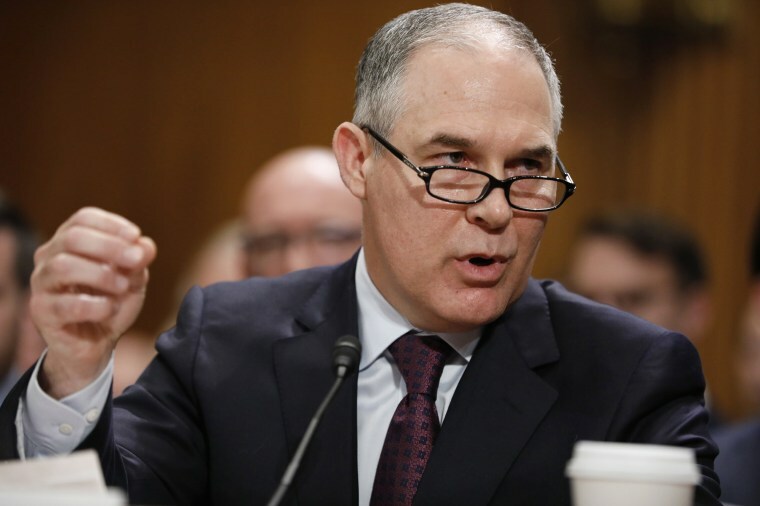 The U.S. Senate Friday confirmed Oklahoma attorney General Scott Pruitt to head the EPA in a party-line 52-46 vote. Democrats did all they could to delay the final vote, holding another all-night session to highlight their opposition to the Oklahoma attorney general for his past battles with the regulatory agency he is now tasked to run. Their opposition intensified after a judge ruled late Thursday that Pruitt must release a tranche of emails pertaining to his relationship with the oil and gas industry during his time as attorney general. It’s a request he’s denied for more than two years until a judge said he must comply. Democrats took particular issue with Pruitt’s seemingly cozy relationship with the oil industry. He faced sharp questions over a letter his office sent to the EPA accusing the agency of overestimating the amount of methane released into the air from drilling natural gas wells. The New York Times found the letter was written almost entirely by lawyers from one of Oklahoma’s largest oil companies. Pruitt has attributed political contributions from oil and gas companies and his close ties to the oil industries to the importance the companies have to the Oklahoma economy. Democrats urged that his confirmation vote be delayed until February 27 when they return from their week-long recess and after the first batch of judicial-ordered emails are to be released on Tuesday. "No lawyer in a trial would ever go to trial without known the evidence in the case,” said Sen. Sheldon Whitehouse, D-R.I., said. But Republicans went forward, saying those calls were another excuse for delay. Pruitt is the latest nominee to be approved on mostly a party line vote. Because Democrats changed Senate rules in 2013, cabinet nominees are able to pass with the support of just a simple majority instead of the previously required 60 votes.